This stunning building is a great home for Jivebeat and Tango Synthesis. Nuevo Argentine Tango classes, with all modern music. Taught by Graham. Beginners and experienced dancers alike are always welcome at Jivebeat. We start every class with the fundamentals to get you going, then add in something for those of you who want something more challenging. This might include a more complicated step sequence or a greater emphasis on styling and musicality, but whatever it is the emphasis is on having fun whilst you learn. There is no pressure to "get it right", so you can learn at your own pace and try things out as and when you are ready. The doors open at 7.45pm, and the evening runs until 11pm. See the individual class schedule for details. 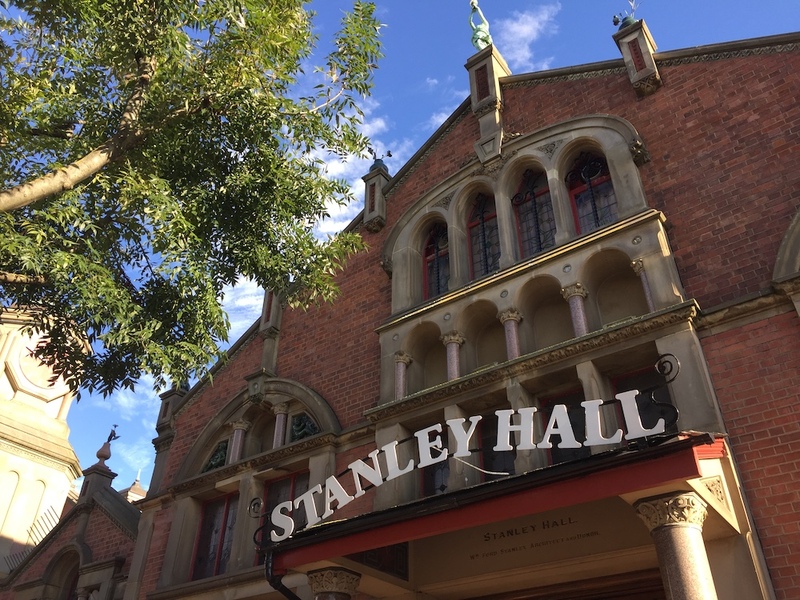 The Stanley Halls buildings are easily found in the centre of South Norwood, and are well served by public transport. The 410 and 196 busses stop right outside the venue, and it is within easy walking distance of Norwood Junction railway station. If you are arriving by car there is parking on the street in the evenings, and there are three public car parks very close to the venue. There is occasionally a bar on site run by the venue, but feel free to bring your own refreshments if you want. No chalk or talc to be used on the floor at any time.